Real Estate: How Long Does An Eviction Take? July 26, 2012 /in Real Estate Law /by Daryle C. Tibbs Esq. Real Estate Law: How Long Does An Eviction Take? Daryle C. Tibbs, owner of Tibbs Law Office, continues a new series dedicated to the topic of Real Estate Law. https://tibbslawoffice.com/wp-content/uploads/2011/07/Real-Estate-Thumbnail-110717.jpg 277 400 Daryle C. Tibbs Esq. https://tibbslawoffice.com/wp-content/uploads/2016/02/logo-300x74.png Daryle C. Tibbs Esq.2012-07-26 10:03:302018-02-07 15:38:54Real Estate: How Long Does An Eviction Take? Real Estate: Can My Landlord Come In And Inspect The Premises Whenever He Wants? July 25, 2012 /in Real Estate Law /by Daryle C. Tibbs Esq. 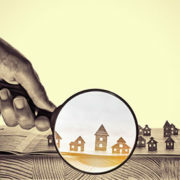 Real Estate Law: Can My Landlord Come In And Inspect The Premises Whenever He Wants? https://tibbslawoffice.com/wp-content/uploads/2011/07/Real-Estate-Thumbnail-110717.jpg 277 400 Daryle C. Tibbs Esq. https://tibbslawoffice.com/wp-content/uploads/2016/02/logo-300x74.png Daryle C. Tibbs Esq.2012-07-25 15:47:532018-02-07 15:41:00Real Estate: Can My Landlord Come In And Inspect The Premises Whenever He Wants? Real Estate: I Just Received An Eviction Notice Because Of Someone Else’s Drug Activity, Do I Have Any Options? July 13, 2012 /in Real Estate Law /by Daryle C. Tibbs Esq. https://tibbslawoffice.com/wp-content/uploads/2011/07/Real-Estate-Thumbnail-110717.jpg 277 400 Daryle C. Tibbs Esq. https://tibbslawoffice.com/wp-content/uploads/2016/02/logo-300x74.png Daryle C. Tibbs Esq.2012-07-13 17:41:242018-02-07 15:43:00Real Estate: I Just Received An Eviction Notice Because Of Someone Else's Drug Activity, Do I Have Any Options? Real Estate: Can A Person With Disabilities Make Modifications To A Rental Property? July 6, 2012 /in Real Estate Law /by Daryle C. Tibbs Esq. https://tibbslawoffice.com/wp-content/uploads/2011/07/Real-Estate-Thumbnail-110717.jpg 277 400 Daryle C. Tibbs Esq. https://tibbslawoffice.com/wp-content/uploads/2016/02/logo-300x74.png Daryle C. Tibbs Esq.2012-07-06 09:00:012018-02-07 15:44:49Real Estate: Can A Person With Disabilities Make Modifications To A Rental Property?